I received a Gift Card from GiftCardRescue.com Cash for Gift Cards in exchange for this post about . All thoughts are my own. So you just got down exchanging Christmas gifts. And Dear Aunt Sally was so sweet. She thought of you and bought you a present. She hands you a card, and inside is a gift card. Like I said so thoughtful. But when you look closer, it is a $50 card to iTunes. You do not even have an iTunes account because you love Android and Google Play. Of course you say thank you so much, hugs and kisses. But inside you are wondering what you are going to do with it. GiftCardRescue.com is the answer. Whether you are trying to find something to d o with an unwanted gift card, or are looking to pick up some gift cards, while saving a few dollars, Gift Card Rescue can help. 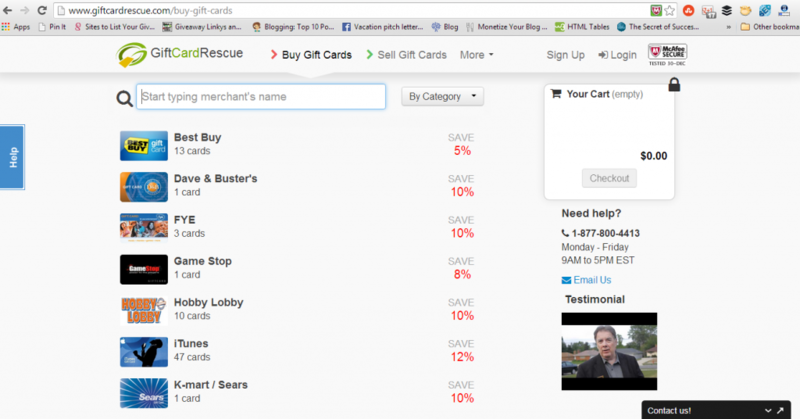 If you are looking at a gift card you KNOW you are never going to use, you can sell it to Gift Card Rescue and get up to 92% of the retail value. That is a great deal because if you are not going to use the card, leave it sitting in your wallet or a drawer, you can get it to someone who CAN use it and you can take the money an apply it to what you can use. On the other side, I am always looking to save a few dollars when ever I can. Especially on something I would be buying anyway. Right now, I can go onto Gift Card Rescue and get a Build A Bear Gift Card. My daughter loves to give Build A Bear cards to her friends or even to get them for special occasions. If I log in and buy this card, I can spend $20 and get a $25 gift card, which saves me 20%. A deal I love to do: I love buying clothes for the girls at Children’s Place at the Outlets. I normally wait for killer sales where things are dirt cheap. If I think ahead and order a $50 Children’s Place card now, and only pay $41, with free shipping, then use it during the next sale. Right off the bat I have saved $9, then all of the money I save during the sale! Doing it this way, I have been known to get close to $200 worth of clothes, for the price of the gift card. 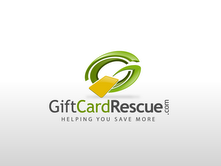 No matter if you are trying to get cash for gift cards that came from great intentions or you are looking to save a little green on a present, check out the selection at Gift Card Rescue.